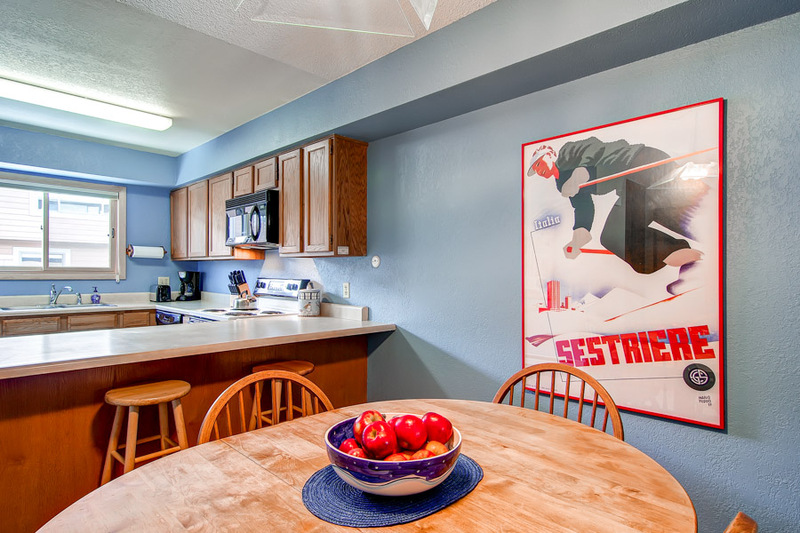 The cozy Winterpoint condos are just a one-block walk from the Snowflake Lift. At the end of the day, you can ski down 4 O’Clock Run and end up right across the street. 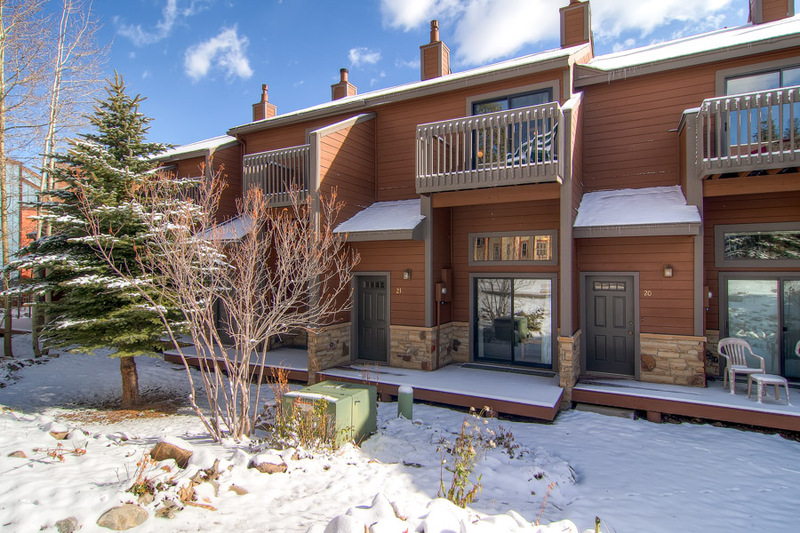 You’ll enjoy access to the heated swimming pool and hot tubs in the Upper Village, and it’s a short stroll to the shopping, dining and entertainment of Main Street Breckenridge! 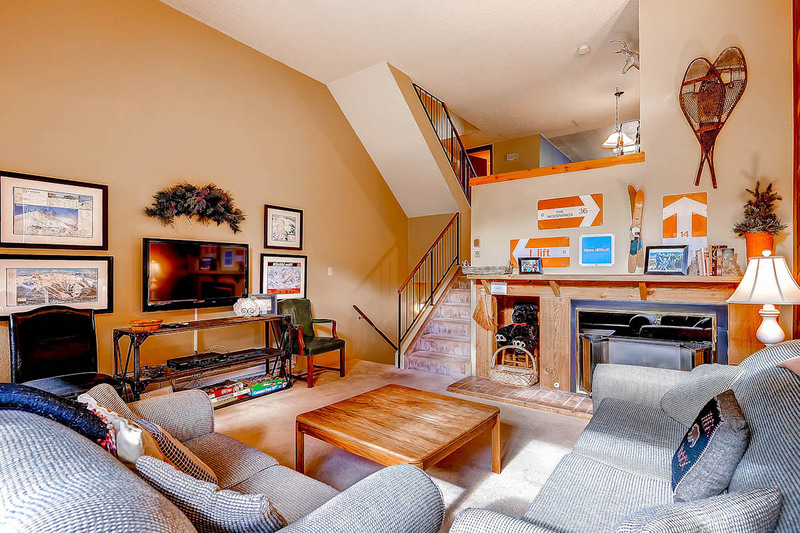 This 2-bedroom, 2.5-bathroom moderate condo is the perfect getaway for families or groups of up to eight people. 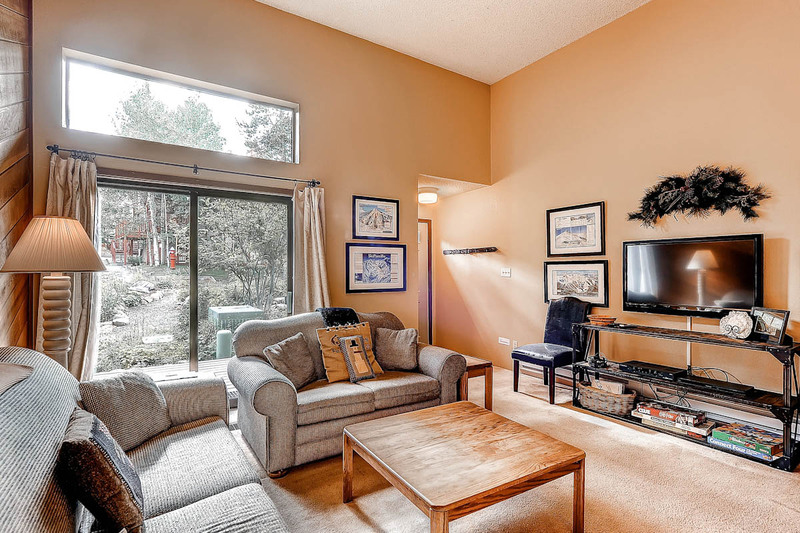 The nice, open living area features a gas fireplace, a large LCD TV and plenty of seating for relaxation after a day in the mountains. 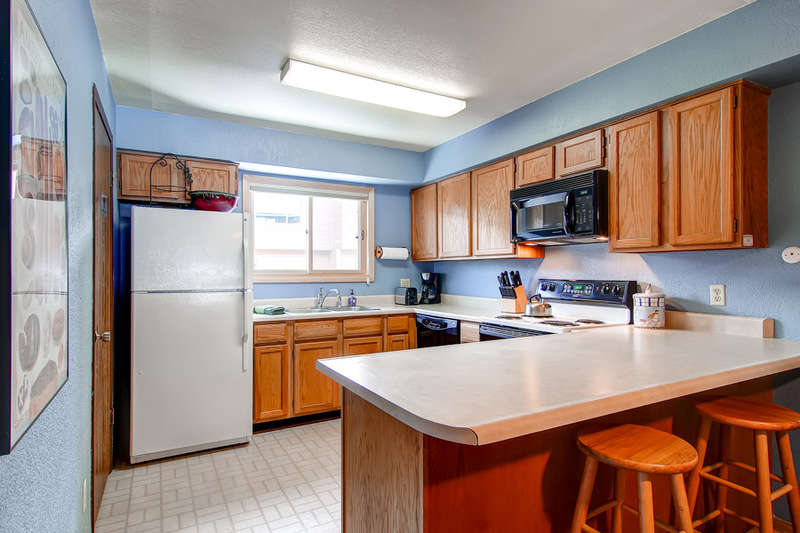 The fully equipped kitchen has everything you’ll need to whip up a great meal for your group, and there is seating for four people at the dining table and room for two more at the breakfast bar. 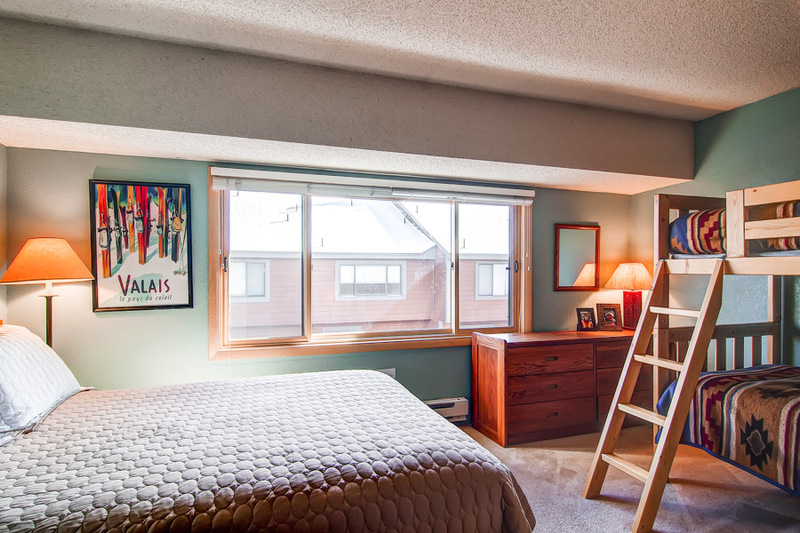 You’ll love that the bedrooms are located upstairs and separated by a long hallway, giving plenty of privacy between rooms. 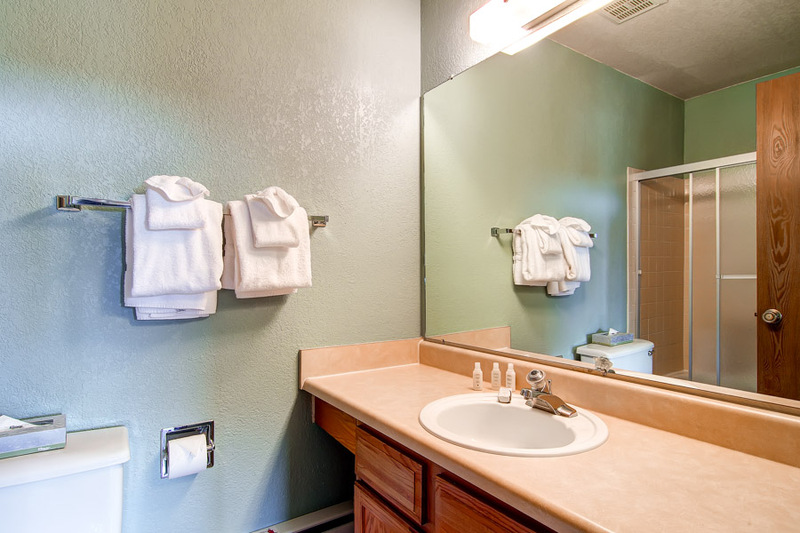 Other amenities include a one-car garage, washer and dryer, and complimentary Wi-Fi. 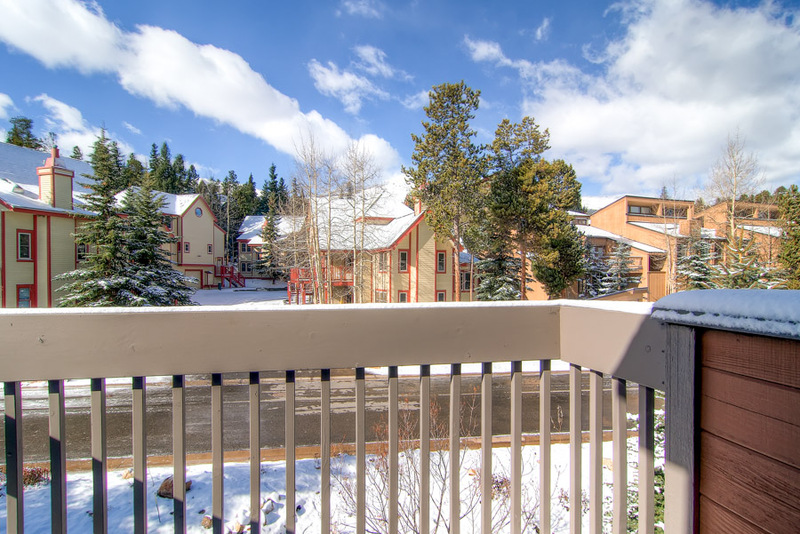 You don’t want to miss out on this fantastic Breckenridge location. Call us to book Winterpoint 21 today! 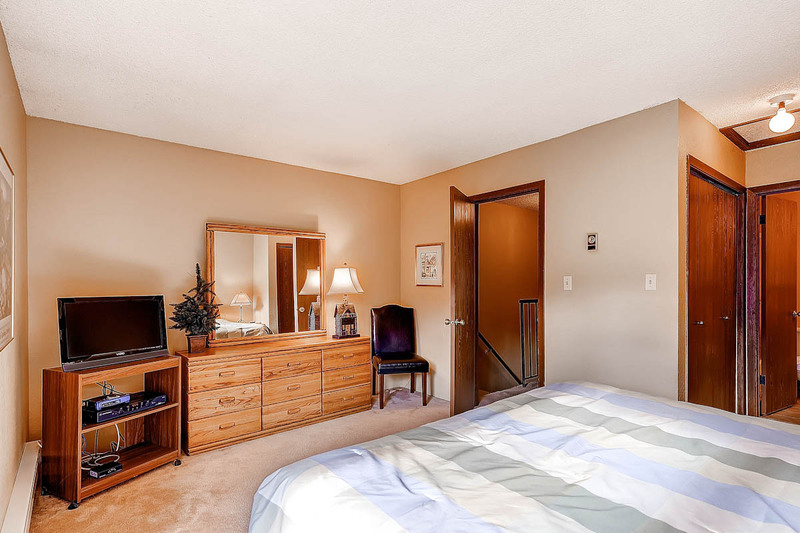 King master suite: king bed, private bathroom with tub/shower, private balcony. 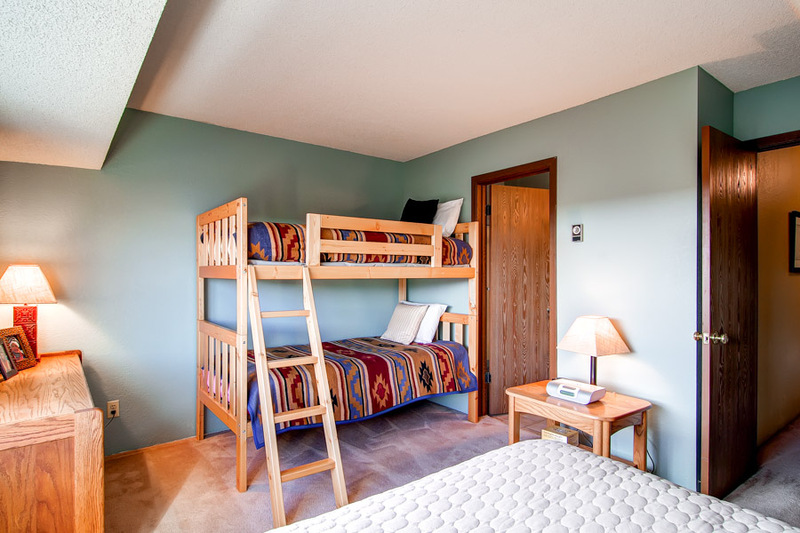 Queen suite: queen bed, twin bunk bed, private bathroom with tub/shower. Business and Occupational License #32581. This was a nice condo for my family of 7. The condo was clean and well stocked. I recommend renting skis from Blue Sky Rentals located at the Snowflake lift. It's a short walk to the store/lift and you can easily store your boots/skis there for free every night. Very convenient! Also, condo was a short walk to town. The location was perfect. Little over a block walk to snowflake lift and it was extremely handy that you could get your lift tickets and ski rentals right there. They will also store your skis there over night for no charge. It was also a short walk to the hot tub and pool. Very very easy check in and out process, had a bag ready with all of the supplies and then try he condo is about 3 minutes away driving and maybe 10 minutes walking. Everything was clean and had no problems, the beds were very spring so be prepared to wake up some if you are sleeping with someone else in the bed, otherwise no complaints. Hi Christian, thank you for your feedback. We will go an assess the mattress, and we can always provide foam toppers upon request. Thank you again! It was very nice place to stay in and in a good location. Either can walk down to the town or catch the free bus! Great location, unit needs updating. Hi Paul. Thank you for your feedback. 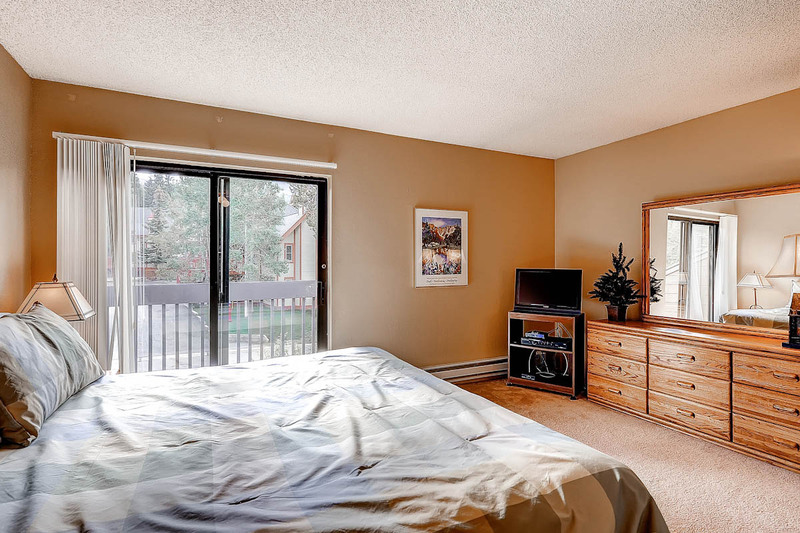 We will make a recommendation to the owners about the condo for future stays. In the future call us directly so we can find the right property for you. We had an amazing family trip. Loved the town and was very happy with the condo. 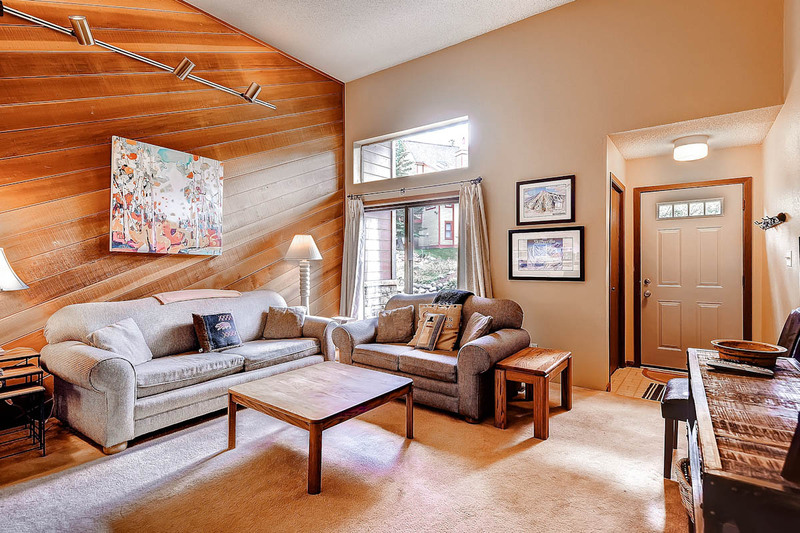 This townhome worked perfect for our family of five. Great place. Close to everything. Kitchen was fully stocked. Lots of sleeping space. Clean. Easy check-in and check-out process. Highly recommend! 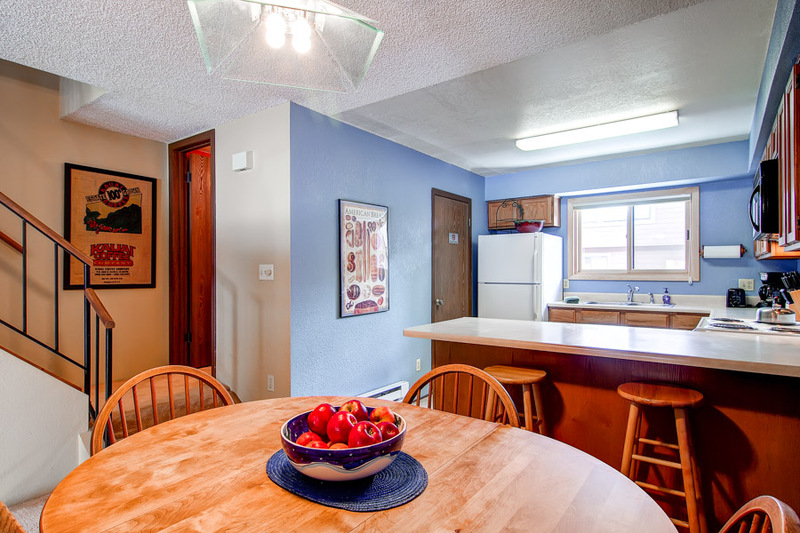 The property was very spacious and in a great location. There are no neighbors above or below which was a plus. 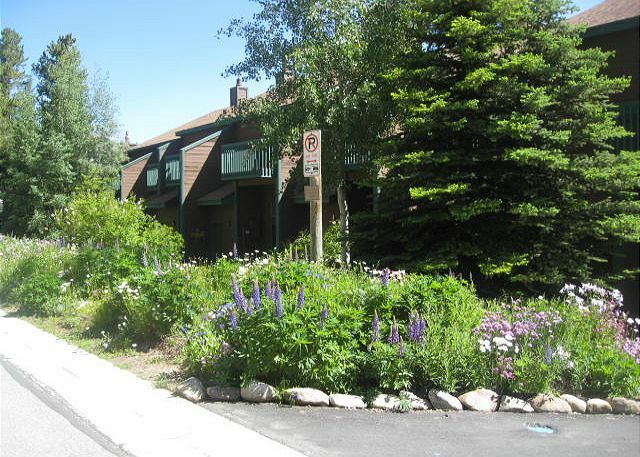 It is an easy walk to town (a slight uphill return) and an easy walk to the gondola for the fun park. The condo was well stocked with almost everything you could imagine. It seemed like every closet had more sheets, blankets, pillows, detergents, or other supplies. The rental company was also great. Their app included information on attractions and a well organized list of dining options. They sent a few emails before check-in describing scenic drives and ways to avoid traffic. These were helpful and we took advantage of one of the drives. We would definitely rent from the company again and likely stay at the same property. From the first touchpoint to the check out process, our family could tell we were dealing with a very professional organization. Communication was smooth, concise and accurate. The owner, Mary, spoke with me personally about different options and recommended this town home based on our needs and budget. At check in we received all the material we needed and were pleasantly surprised with how spacious the place felt. 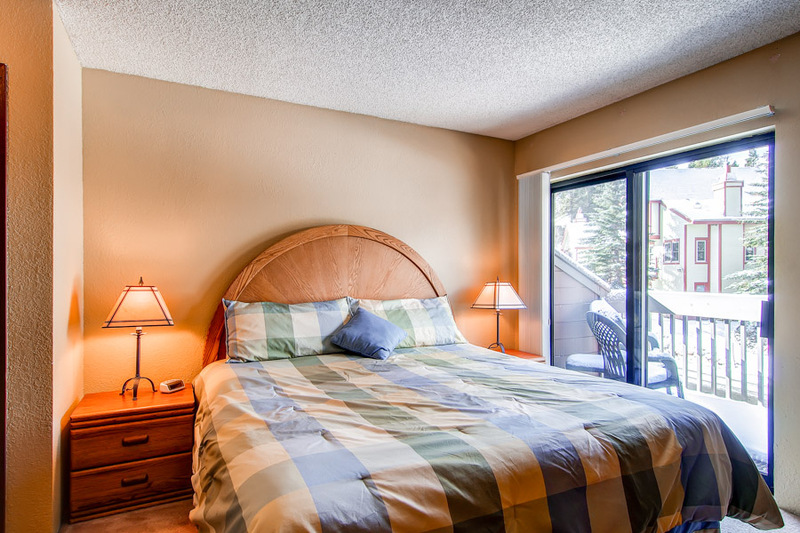 It was fully equipped with comfortable bedding and in a wonderful central location. We will definitely be coming back! Thank you very much for your feedback Alma! I have forwarded your review onto the staff to see as well. Thanks again Alma. Overall experience was great. 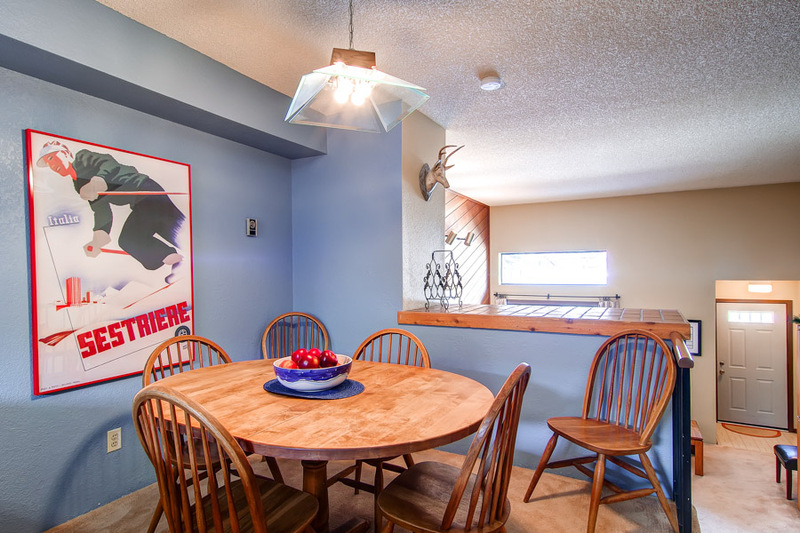 Condo had everything we needed and was in a great location for access to everything. It was also very clean. Would recommend! 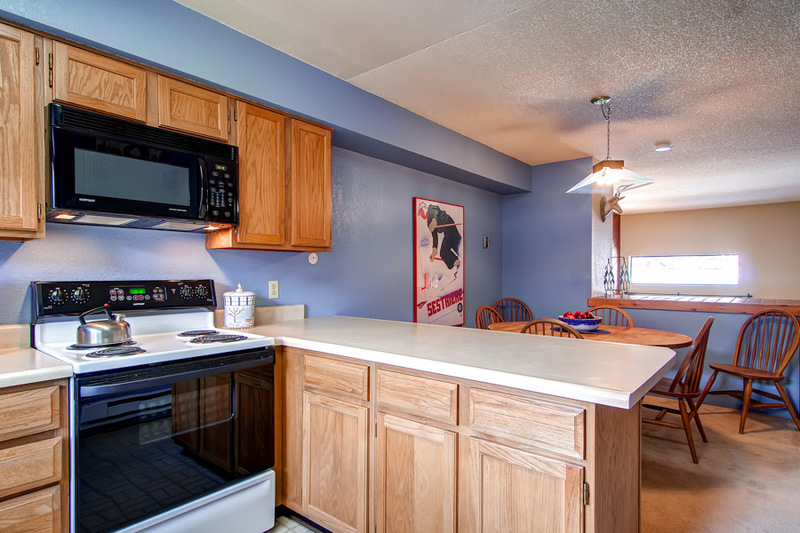 The rental process was easy and the unit was clean & cozy. 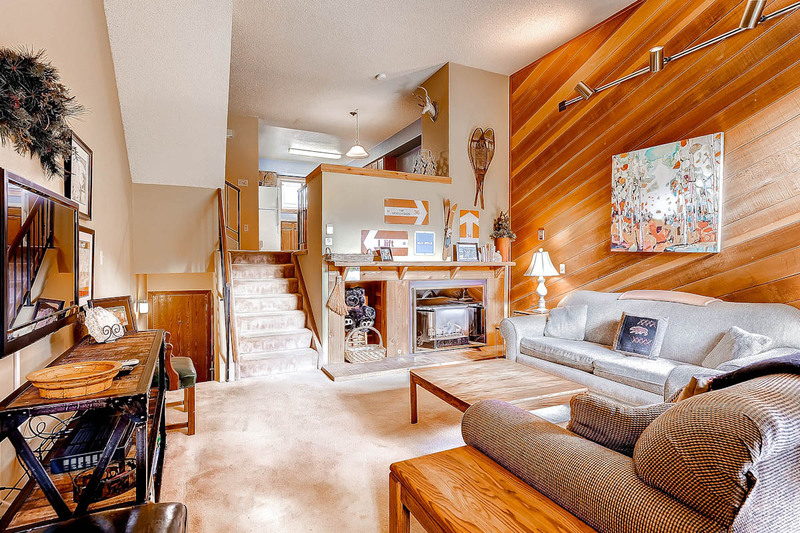 Its location was perfect - a short walk to either the slopes or town. Would definitely stay here again! Thank you for this feedback Tanya! We stayed 2 nights and had a great time. 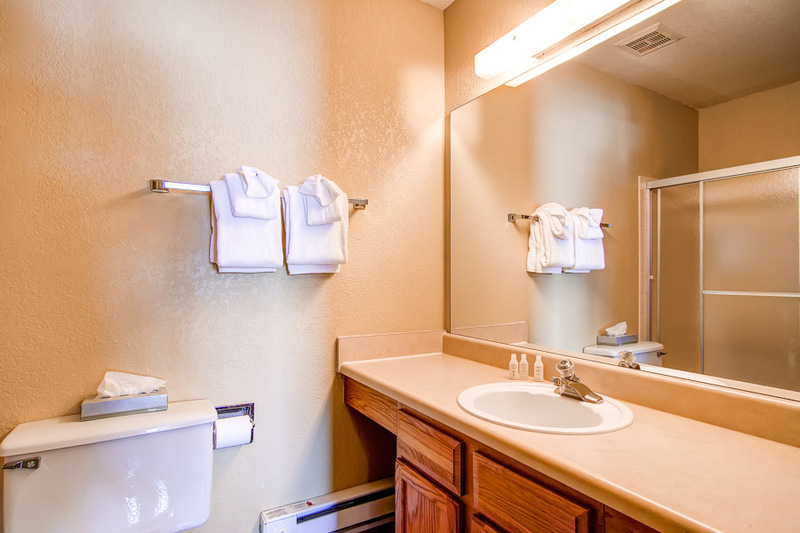 The unit was so convenient to Main Street and we were able to walk everywhere we needed. This location was everything we expected. It was about 2 blocks from the lifts, extremely clean and cozy. Everything we needed to cook was provided in the condo. We had an amazing time staying in this condo! Our family of three plus five friends of our teenage son experienced a first class vacation in Breckenridge the week before Christmas. It was our first ski trip and the folks at Summit Mountain Rentals were very informative - from offering tips about the area and suggestions for equipment rental to ordering our lift tickets (which were waiting on us at check-in!). We would like to return to Breckenridge and when we do, we will surely use Summit Mountain Rentals again.